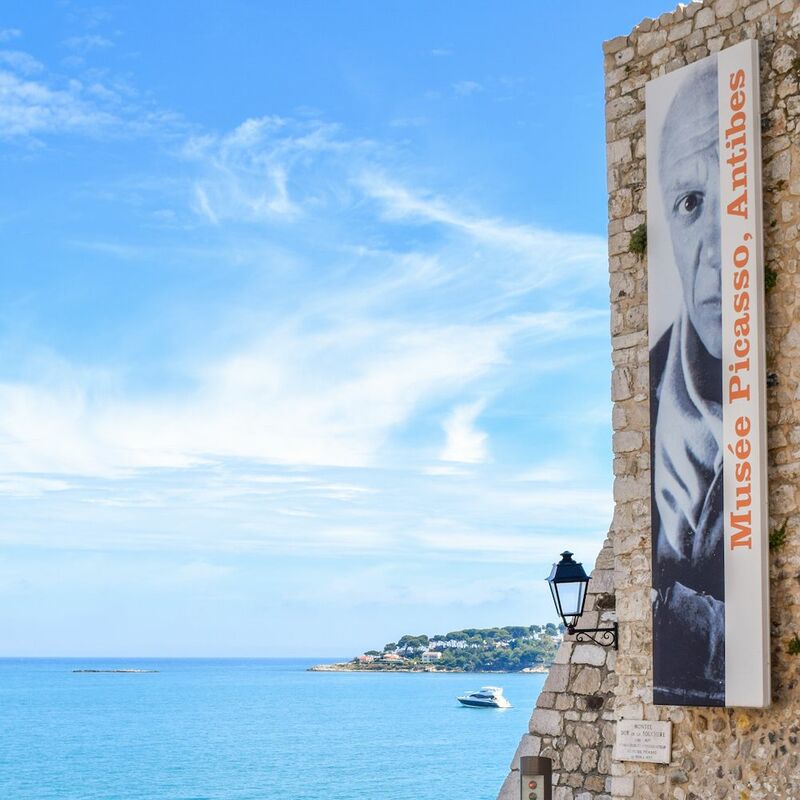 On a Wednesday morning during my week in Antibes, I visited the Picasso Museum located directly on the coast of the city. 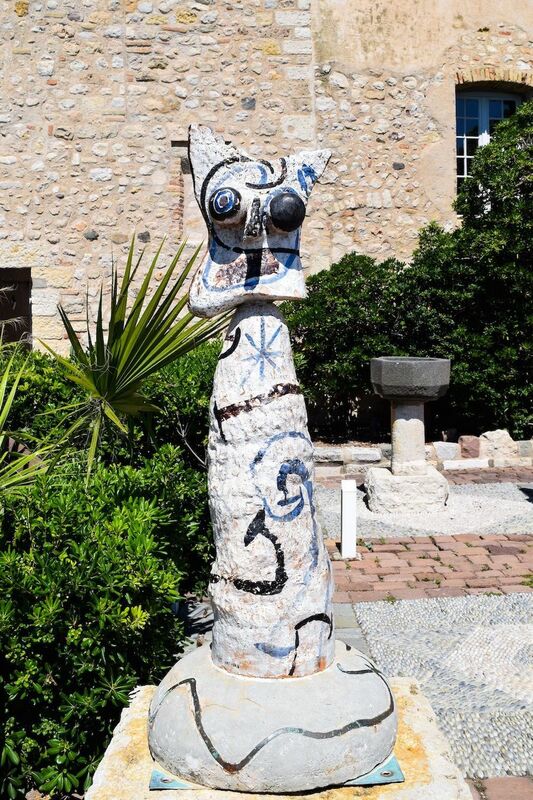 The museum is housed in a beautiful stone chateau that was the home of Picasso during the year 1946. 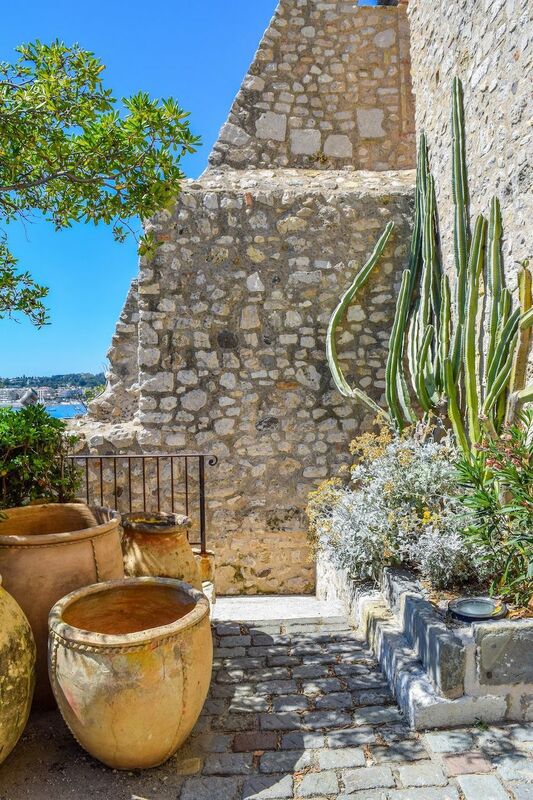 The building itself is quite impressive, and easily accessible from downtown Antibes. The first level of the museum featured works on paper by Pierre Soulages, a favorite artist of mine. Although paper is never as good as works on canvas, the characteristic black and dark blue minimalist strokes of his work were wonderful to see, and provided insight into the grander works Soulages is known for on canvas. 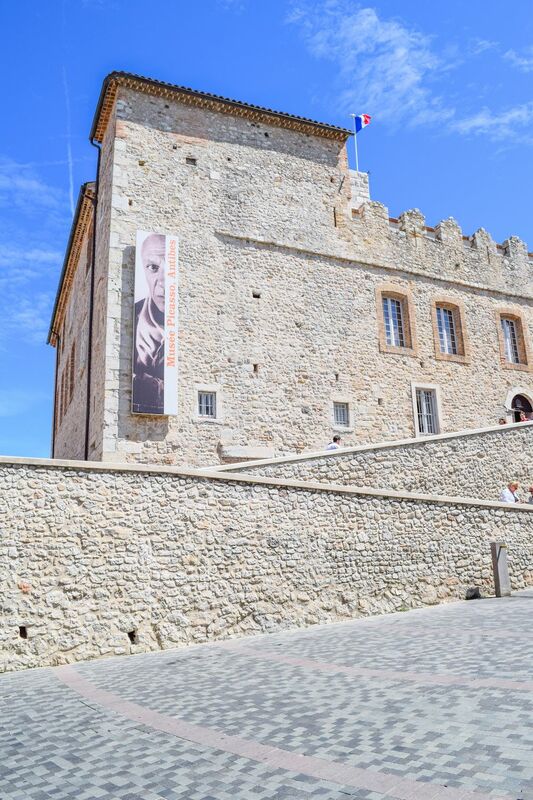 The upper floor of the museum displayed more works by Picasso, although they were certainly not his best. One work I much admired was La joie de vivre, 1946, a stunning painting in yellow, blue, red and white. The work depicted a woman dancing naked, her long red hair blowing in the wind, two goats behind her and two figured appearing to play an instrument from what I can guess. One figure appears to be a centaur – with a four legged body and a human-like upper torso. 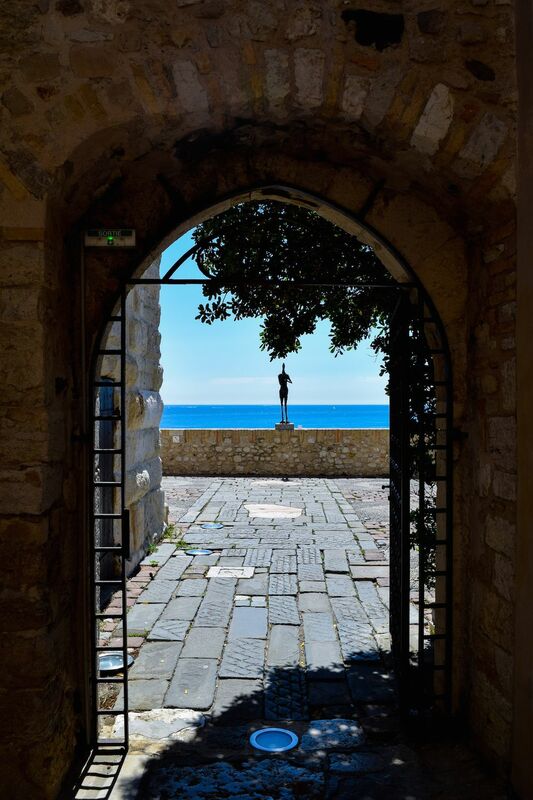 A boat rests in the distance, suggesting the painting was created during the summer that Picasso lived in Antibes. 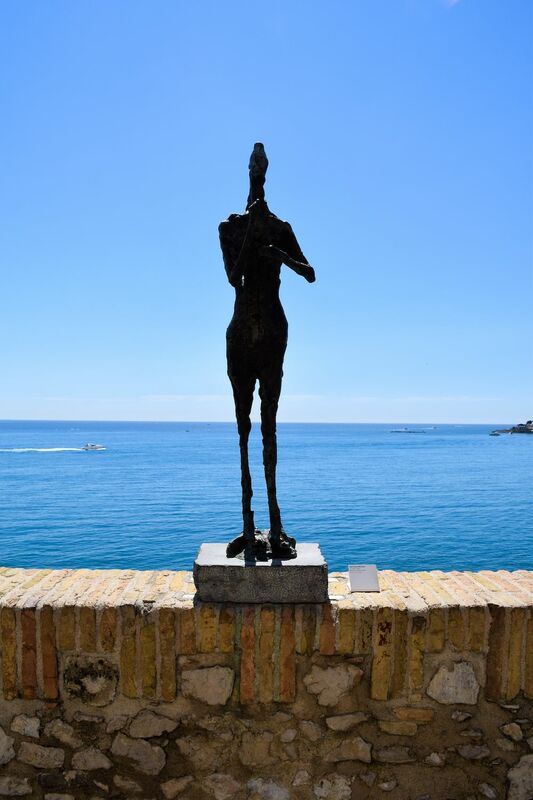 Other works of interest were Ulysses et les sirènes, September 1947 and Buste d’home au chapeau, 12 février 1972, on loan from the Musée National de Picasso in Paris.